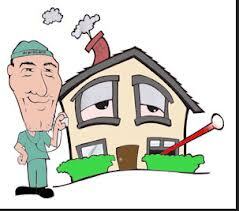 Houses & Homes VA: The Top 10 Ways to Make Yourself Sick! The Top 10 Ways to Make Yourself Sick! Like all of us you want your home to be a safe and healthy environment. No matter how often you clean your home if you’re not doing these 10 things you are creating a breeding ground for germs and bacteria. The following suggestions will make a tremendous difference in the health of your family and they take only minutes to do. Yes, it really is that big of a deal! A HEPA rated vacuum filter in your vacuum cleaner will dramatically reduce the amount of dust being thrown back into the air that you breathe at home. Air quality is very important to our health and using quality filters will actually filter the air in your home as you clean – a very wise investment. Bacteria need nothing more to thrive than moisture and heat and that is what we call a bathroom! The use of a ventilating fan in your restroom will dramatically reduce moisture as well as remove air borne contaminants. We’ve all done this one from time to time. Just as your vacuum cleaner “breathes” so does your HVAC system. Dust and stale air in your home is constantly being re-circulated when you are using your air conditioning or heating system. The only way to clean this air is by using a filter in the unit(s). I suggest using a HEPA rated filter the same as the vacuum cleaner. They are more expensive than ordinary filters but well worth the money. Look at it this way; you are breathing in whatever your home is breathing out. Dust mites can and do exist in the cleanest of homes. These microscopic creatures are a main cause of illness in the home. Your best defense is to use pillow cases and sheet sets that have zippers and are dust proof. This will prevent these tiny creatures from living in your linens and will do a world of good to make your bedroom a much healthier environment. Now that you are using these high quality filters in your air conditioners and vacuum cleaners, don’t worry about cleaning or replacing them when the time comes. This will allow all of the bacteria that have built up over time to reenter the air in your home and cause the filters to become ineffective. An excellent way to ensure that you don’t miss that yearly summer cold! Leaky gutters allow water to go where it doesn’t belong. If this excess moisture finds a way into a crawlspace or basement you have a perfect breeding ground for germs. Be sure that your gutters are working properly and keep them clean as well. I know. This one sounds a bit strange but the truth is that carpeting, fabrics and those extra throw pillows on the couch are excellent dust collectors. Again, air borne contaminants are contributing factors to asthma, allergies and the everyday head cold! The less of these materials in your home, the better. Now you know why hardwood floors are so popular! Did you know that mold is extremely dangerous to our health? Did you know that it can even be deadly? Trust your nose and if you smell a musty or strange odor in your home take the time to find out what it is. If you discover mold it needs to be removed immediately. If excess moisture has caused mold in carpet, drywall or some other permanent part of your home it is best to call a professional mold abatement company for an inspection and decontamination procedure. FYI – bleach will NOT remove harmful mold, the material that is contaminated must be completely removed from the home. If you or any family members suffer from allergies than plants that reproduce using the process of pollination are a great way to attract allergens to your yard. Sorry to say but grasses are some of the worst plants to be around for allergic people. Standard dish liquids do not kill germs. Anti bacterial products are an excellent idea when cleaning the very dishes that we eat our food from. The same can be said for hand soaps, cleaning products and so on. Hand sanitizer is a great way to clean up before eating on the run as well.